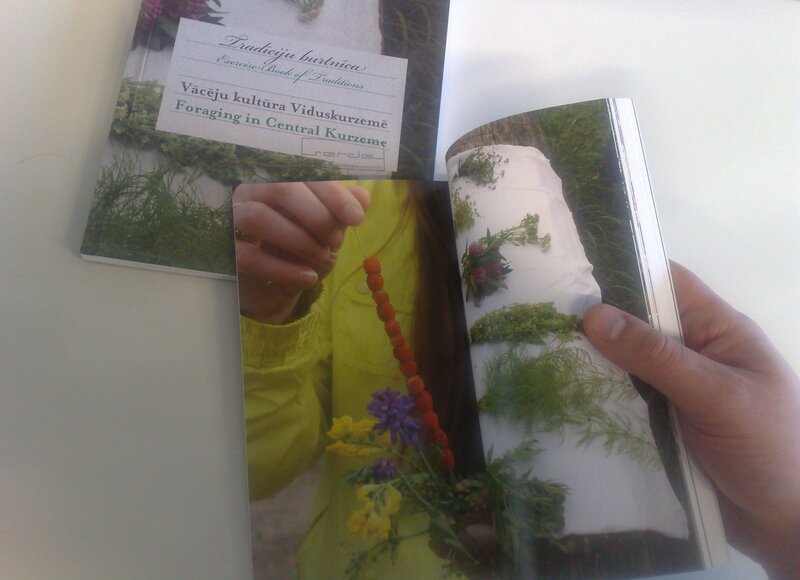 Welcome to the 'Foraging in Central Kurzeme' book event on Tuesday 8.3. at 6pm by Signe Pucena (LV) and Andrew Gryf Paterson (SCO/FI) at Arkadia International Bookshop (Pohjoinen Hesperiankatu 9) in Töölö, Helsinki. Signe and Andrew will present the context, process and outcomes of organising last year's midsummer 'Herbologies' expedition to rural towns of Aizpute and Alsunga in Western Latvia. The presentation shares an example of grassroots, artist-led ethno-botany and cultural heritage production. The expedition was hosted by Interdisciplinary Art Group SERDE (of whom Pucena is executive director and programme curator), and built upon their experience of engaging cultural heritage subjects as an arts organisation. It took place as part of the Herbologies/Foraging Networks programme of events. In collaboration with Paterson, they organised a series of fieldwork excursions and ethnographic interviews, for an international and interdisciplinary group of guests, to learn about the contemporary practices and cultural heritage related to the use of wild plants in the local area. Participants include guests from Latvia, Lithuania, various places in Finland, Southern Sweden, Poland, Spain and Belgium. During this Arkadia presentation event, they will present photo and video documentations from midsummer, and the resultant 'Exercise Book of Traditions' which was made following the expedition. Physical copies of the book will be available to take away and purchase at a modest price. Entrance is free and green tea will be offered. A donation of €2 (or more) to Arkadia to fund the event is suggested and would be most welcome.